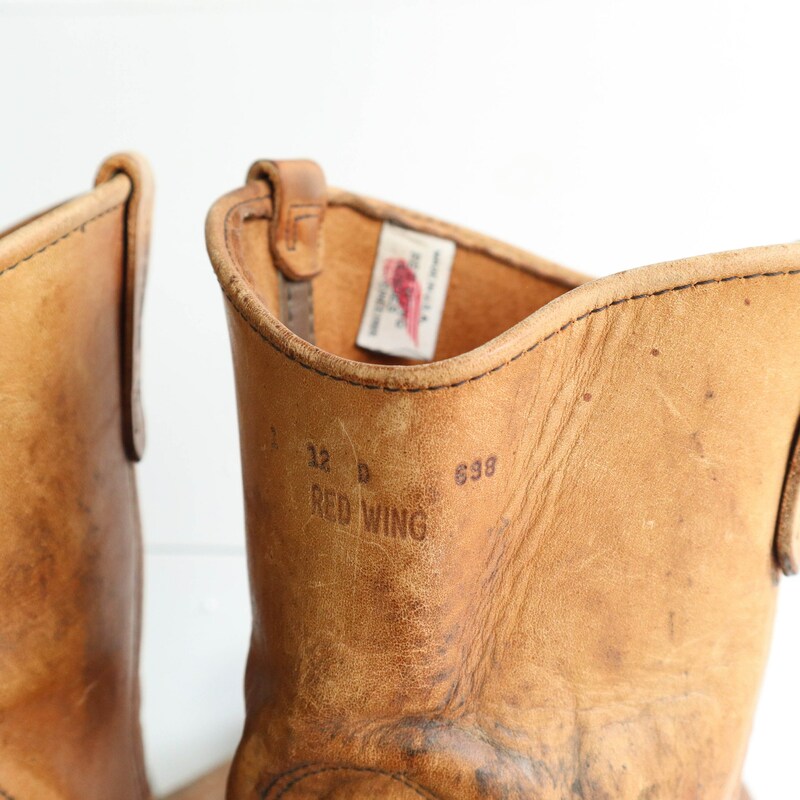 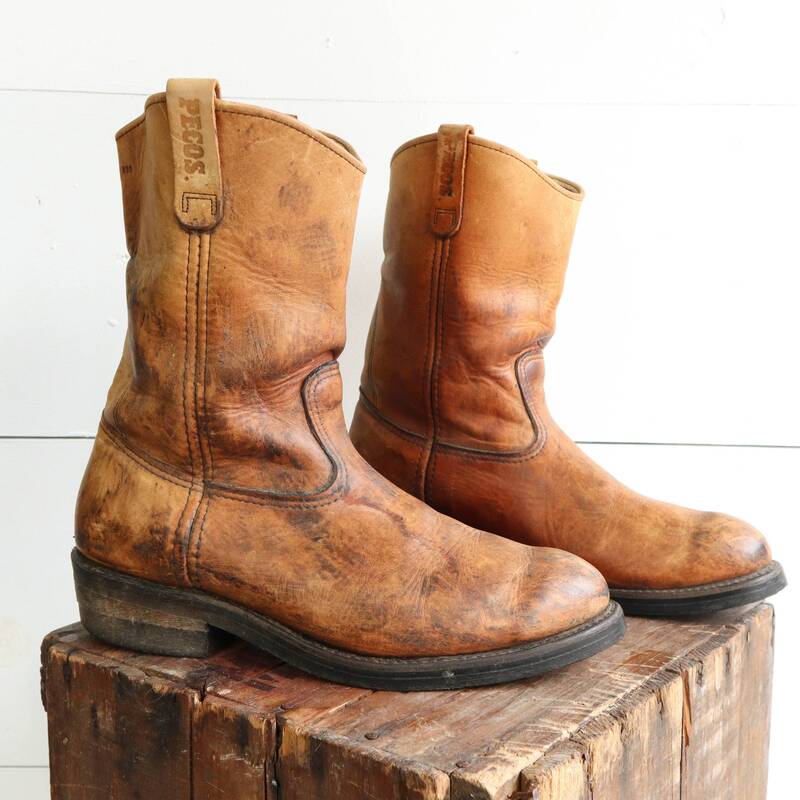 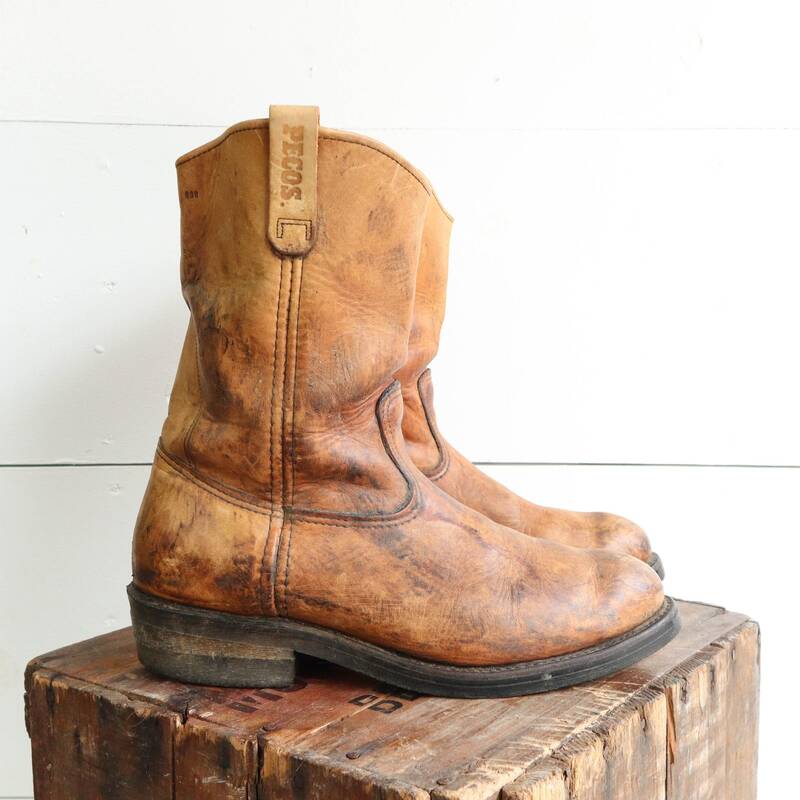 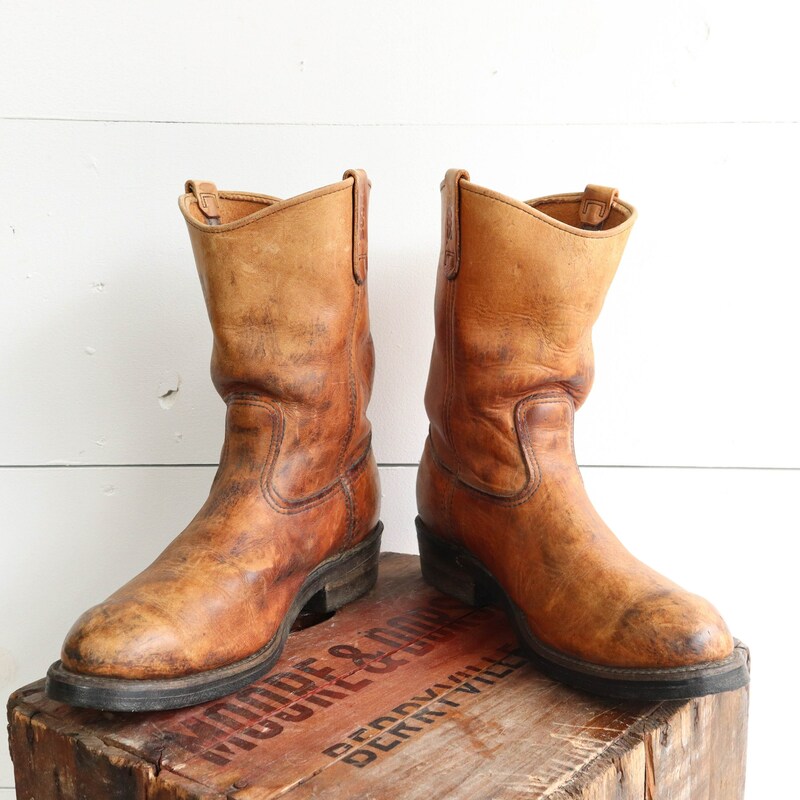 These 1980’s Red Wing Pecos boots come in a rich brown leather, well worn. 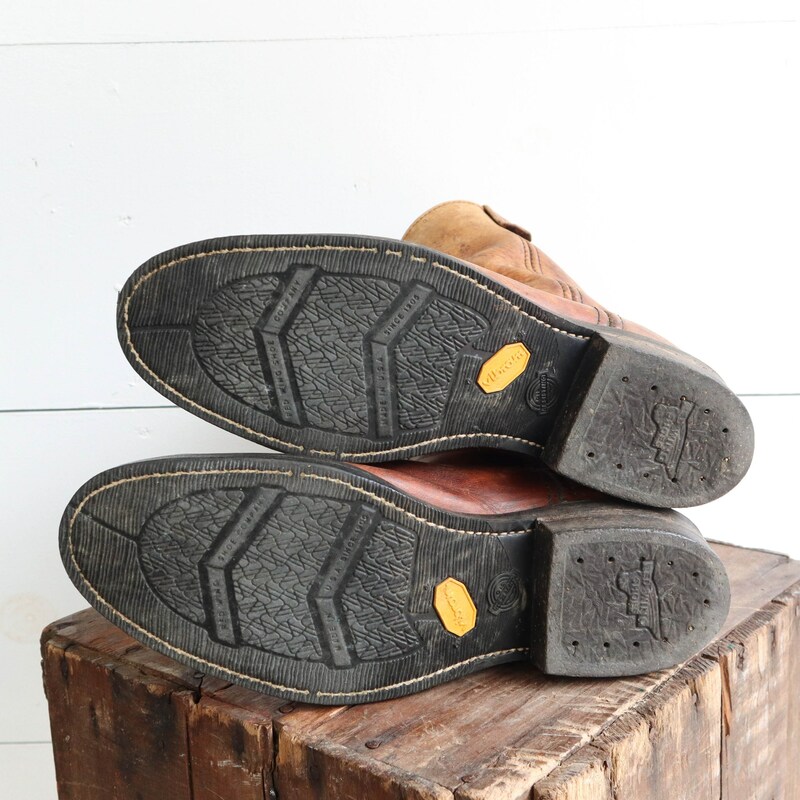 The insoles have some wear, but nothing you would notice while on (an insert is always recommended with older boots). 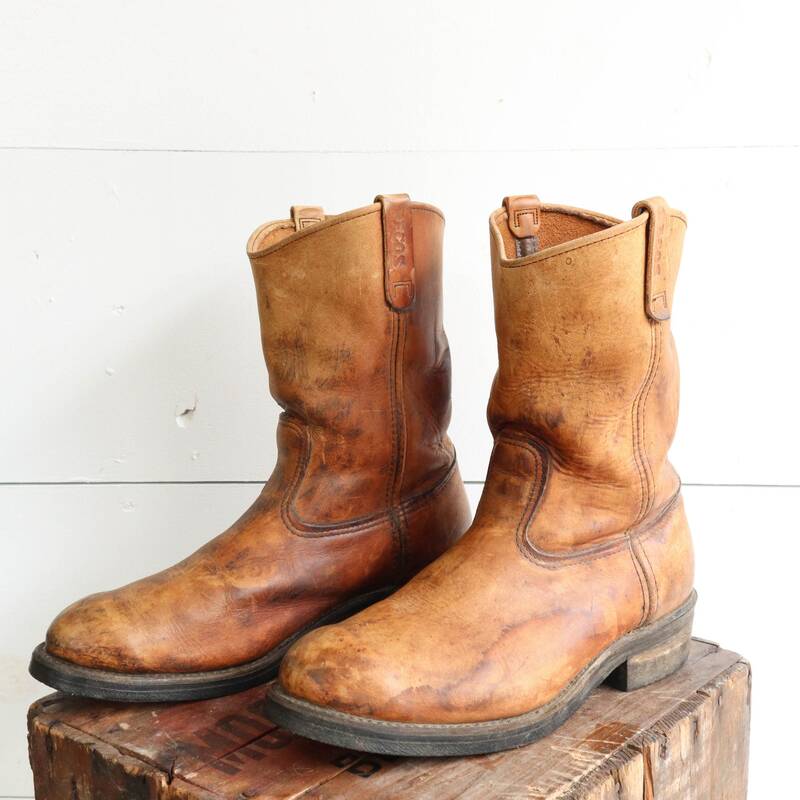 The leather uppers have scuffs, nicks, and wear. 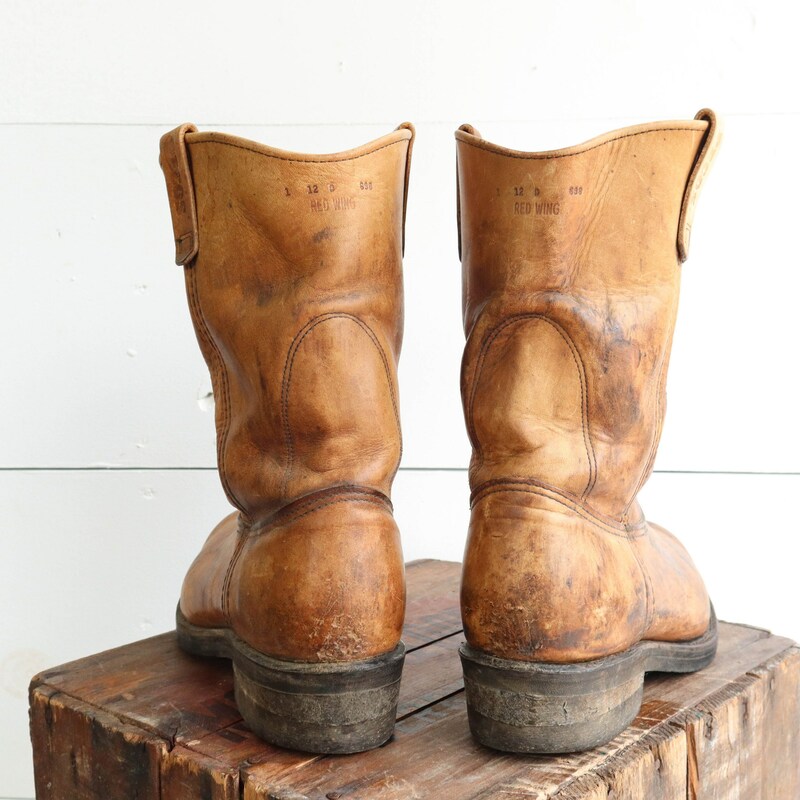 Overall these are in great shape.